Image Size:- 26" x 19"
Available as, print only, with french bound mount, or framed complete (as shown). they hang around the waterhole, the only one for miles, all day and I think they know me by now. just a few yards behind me. I had no need to worry however. I asked the cameraman. "What's it doing?" He answered, "Carry on, David. He's just opened one eye and shut it again." 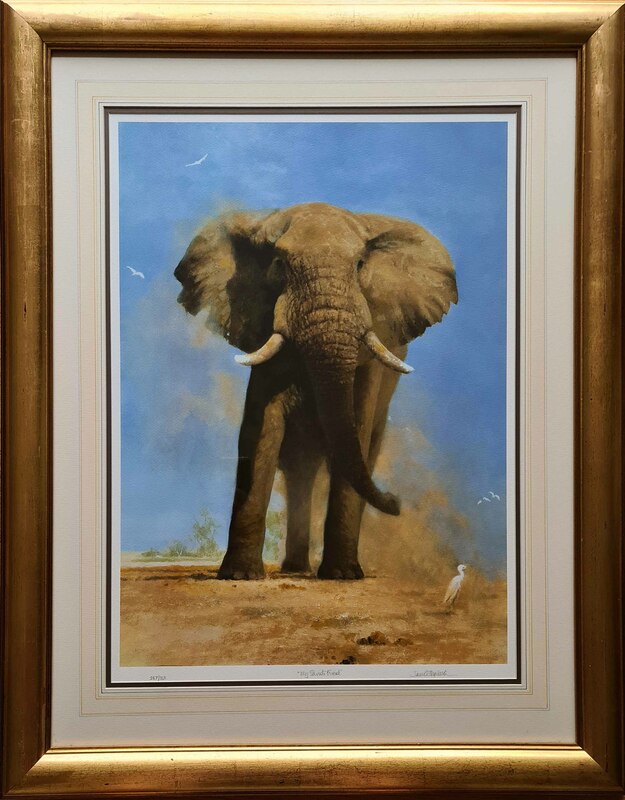 David's unique style has been faithfully reproduced on 400gsm Velin Arches paper using 36 colours, making "My Savuti Friend"
a fabulous silk screen print and a lasting work of excellence. 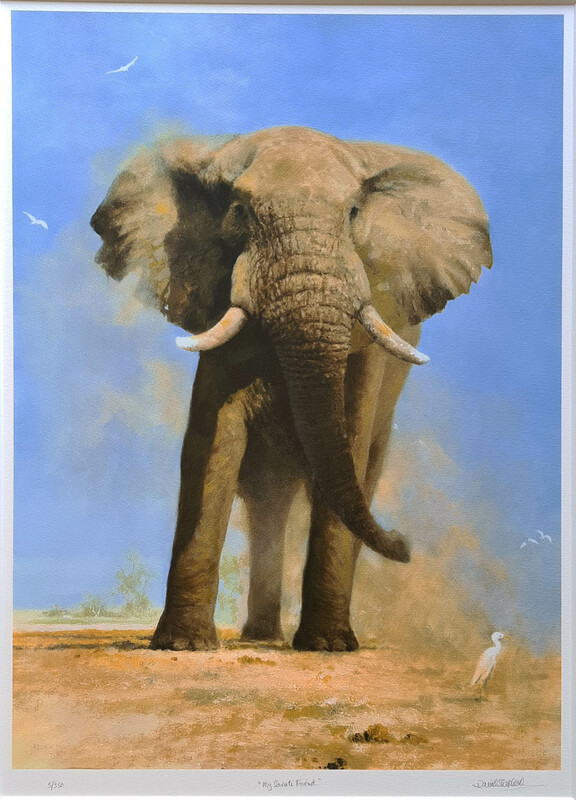 If you would like to visit the studio in Nottinghamshire, (Saturdays and Sundays are fine too) Please call 01623 799 309 We have a collection of over 500 David Shepherd signed limited edition prints and original paintings for sale.